Thousands of fans from across the globe and a cluster of music royalty gathered in Jamaica’s capital on Thursday 19th for the premier of the widely anticipated movie, Marley. The feature-length documentary, which is due for international release on April 20th has stirred a frenzy as it depicts the life of an incomparable music icon who fell into an elite rank of entertainers such as Michael Jackson, Elvis Presley and Whitney Houston. Marley is directed by Academy Award-winning Kevin MacDonald, recognized for works such as One Day In September, State Of Play, The Last King Of Scotland, Touching The Void and Life In A Day. Executive producers included Bob Marley’s eldest son, Ziggy and Island Records founder Chris Blackwell. It is rumoured that VH1 have secured first rights for television. Bob Marley is often described of as “The third-world’s first pop-star”. Many found him more relatable than others because of his transparent, down-to-earth persona and impoverished background. The heartfelt documentary, with stunning live performances, intimate interviews with friends and family, and rare documentary footage, reveals surprising facts about Bob Marley, such as his complex marital status, fathering 11 children with 7 women, the struggles he encountered as a mixed-race child and his fatal struggle with cancer in 1981 at age 36. 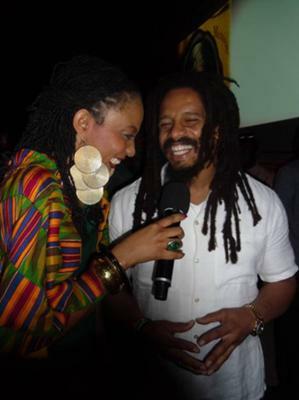 When asked what audiences should expect from the movie, Rohan Marley, fourth eldest son and father of Lauren Hill’s children stated, “We are going to see the human side of Marley”. Till this day, Bob Marley remains one of the most important and influential artistes of the 20th century. Accolades include induction into the Rock and Roll Hall of Fame (1994), a Grammy® Lifetime Achievement Award (2001), multiple entries in the Grammy® Hall Of Fame and the Hollywood Walk of Fame (2001). His catalog sales have exceeded 50 million albums worldwide since 1992 alone. The official soundtrack from Marley was released through Universal Music Enterprises (UME) as a 2-CD collection and a special 3-LP vinyl set.